Poland was the homeland of the Slavs. Its was united through the efforts of Mieszko or Mieczyslaw I of the Polanie tribe. Boleslaw Chrobry (the Brave) became the first king of Poland in 924 A.D. Poland's history has been one of extreme turbulence, having been invaded and partitioned many times in its history. Its modern boundaries have been established since 1945, and it was under Russian influence until 1989 when it became an independent republic. 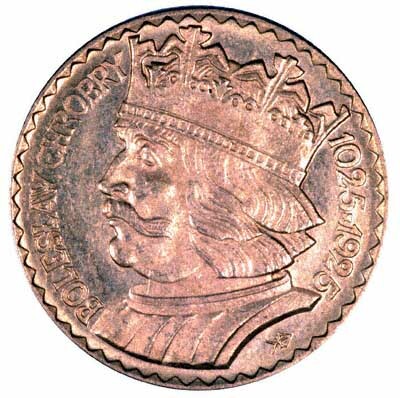 In earlier days, Poland issued gold ducats. In more recent times, all of its gold coins have been zloty (plural zlotych). We give below the specifications of most of the more frequently encountered Polish gold coins, followed by a stock list of any we have for sale. 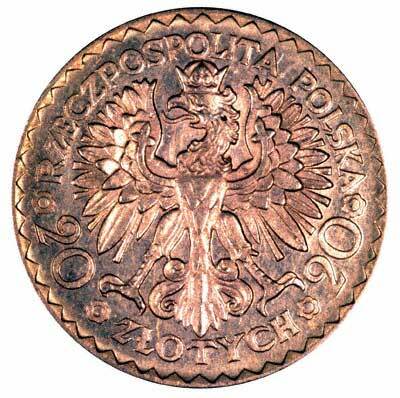 For silver and base metal coins of Poland, please look at our original Chard Coins website.